The newly designed 810 Drip Tip is made of advanced resin material, which is really good-looking. Perfectly match with most 810 atomizers. Just get it for your 810 drip tip atomizer! 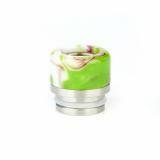 Here comes the newly designed New Resin 810 Drip Tip 0343 for most 810 atomizers. 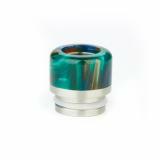 The 810 drip tip is made of high quality resin and stainless steel material and perfectly compatible with most 810 atomizers. Just get it for your 810 drip tip atomizer. Attractive colors for your selection. 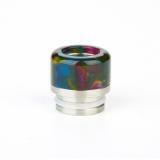 New Resin 810 Drip Tip 0343 is a newly designed Resin 810 Drip Tip for most 810 atomizers. 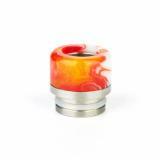 The 810 drip tip is made of high quality resin and perfectly compatible with most 810 atomizers. Just get it for your 810 drip tip atomizer. This fit perfectly in my Smok stick v8...extremely satisfied!